On May 9 1998, Ray of Light debuted and peaked at #2 on the UK Singles Chart. It was held back from the top spot by another debut entry, All Saints’s double A-side charity single, Under the Bridge/Lady Marmalade. 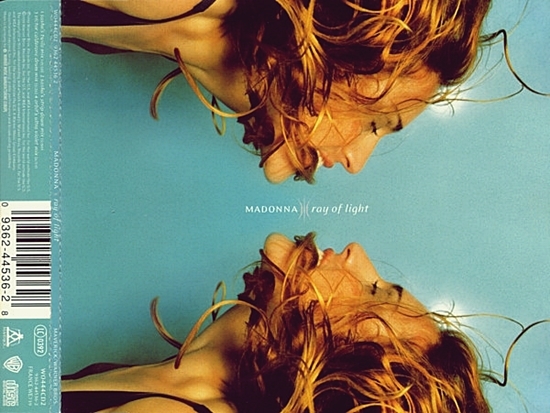 Ray Of Light was the 68th best-selling song of 1998 in the UK, with the British Phonographic Industry (BPI) certifying it Silver for shipment of 200,000 copies. Madonna doesn’t know if she’s X-Statically happy or mournfully sad-in hard rocker Ray of Light, she embodies the best of both worlds! She’s happy because of the faith, hope and love inside of her rebel heart but she’s also sad because Madonna is haunted by the specter of her mother’s death! Still, Madonna’s story is one of triumph! Rebel Ciccone is the last of her kind! I will always love Madonna, thanks to Ray of Light!